Accessible Metrics scans your entire website and shows you potential issues which may prevent some users from accessing your site. Our tool shows you where these problems exist, and gives you actionable solutions. With intuitive controls and explanations, anyone on your team can use Accessible Metrics. Our web accessibility testing tools simultaneously test for performance metrics while uncovering accessibility errors. While making your site accessible, you can make it perform better for all users on any device. Addressing these issues will make your site look better and run faster with more security. Websites that are fast, attractive, accurate and easy to use not only get more traffic, but they’re ranked higher by search engines. 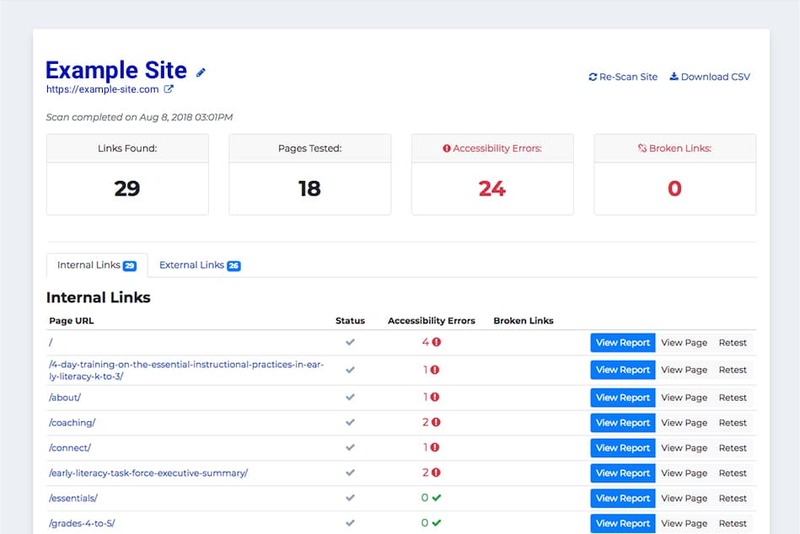 Our web accessibility testing tools make it easy to optimize your website for search engines and users alike, while fulfilling ADA and 508 requirements.